We are warned when we are training about the ‘BURN OUT’ but I don’t think it matters what you do for a living or who you are as it can happen to all of us. Its all too easy to swallow the stress of getting the job down, the ferrying of your kids about, paying the mortgage and you just keep going – pushing through because if you don’t who will and every other story you tell yourself. Take it from me, it is so important to find a way to say NO, (if this offends I would suggest you question the relationship!). Take time away. An hour in the bath with a non work related book, sit in Hyde Park the listening to music, go fishing, play tennis, whatever is your thing – the world won’t end. DON’T ignore your bodies warning signals, telling yourself ‘it will be alright’ your just tired…. Down time from whatever you do is so very important and not taking it will result in you not be able to do the things that you want or need to do. Remember, when on a plane you are told to put your oxygen mask on first so you are strong enough to help others. Nothing you think you have to do is more important than YOU. If you don’t listen to what your body is telling you, then you wont be able to do the things that are in front of you. Why do we have emotions? Which emotions would I choose? If I could choose which emotions I had, I would get rid of sad, scared and anxious! Well who wouldn’t??? Any of our emotions left to their own devises are not great. They are meant to work as a team, balancing one another out. Ying and Yang. If you didn’t have grief, you would not really appreciate love. If you only had brave you would do something daft and hurt yourself! We need all our emotions to keep us on an even keel. But sometimes one of them hijacks us and takes control. Like sad or anxious and then you can only hear what sad or anxious want to hear and you can only see what they want to see and you can only feel what they want to feel. But they don’t hijack us without a reason, they are trying to tell us something and it’s usually about protection. But we get lost in them when what we should do is pull them out of ourselves and sit them in our hands and ask them what’s wrong. Sound daft? Try it! We are made up of a team of emotions, each has its job, but you are the captain. When one of them is getting a little loud there is usually a reason. Take a breath, accept it’s where you’re at, not who you are and ask your anxious self what’s wrong? Anxiety and Stress are increasing in our every day lives whether it be at work or at home. But there are ways to put what ever is causing the anxiety or stress back into perspective so that you can be more effective at work and be happier at home *. Ali runs study days that gives you techniques that will help you manage your stress and anxiety. You will learn how to spot a potential situation that may lead to stress and anxiety and you will learn how to adapt your language to help manage a situation either at work or at home. Ali recently worked with a group of midwives. The East and North Hertfordshire RCM Branch organised a study day mid February as part of the Caring for you Campaign. It was a very successful day and commenced with Katie Chilton (our Head of Midwifery) talking about the Campaign; what she had already put in place and her future plans. The main aim of the study day was to positively support our RCM member’s wellbeing at work. The day was presented by Ali Knowles who is a Cognitive Hypnotherapist and NLP Practitioner. The day included an introduction to NLP stress and anxiety relief techniques and strategies to deal with bullying in the workplace. Working as a midwife can at times be difficult, making us feel vulnerable and inducing a sense of disillusion when our emotional wellbeing is not being addressed. Ali taught us some great tools to deal with these unacceptable situations. It was both a thought provoking and empowering day and has given all the attendees some skills and techniques to put in place. The day ended with some deep relaxation and hypnotherapy to engender feelings of empowerment. Ali and her team had amazing energy and overall it was a positive day. We would like to thank all the midwives who attended in their own time and supported the day and Gloucester ward for providing the funds for sandwiches; everyone who baked cakes which were a great hit and all that gave up their time in organising the event to make this day possible. Feedback of the study day included “it was one of the best study days I’ve attended” “it was such a great day” “I have gained some really good skills which I hope to put in place”. Childhood shapes us – all behaviour serves a purpose! Anyone else watching the re runs of the classic “Birds of a Feather”? Tonight’s episode is about Sharon and Tracy getting an invite to a school reunion. The invite comes from a lady that used to bully Sharon at school. This bully put Sharon in a dust bin and sat on the lid for hours. Classic comedy but very good. Sharon declares that she eats so much due to that trauma, her subconscious is protecting her by making sure she can’t fit in a dust bin again!. Class! But the thing is, she could be a client that has come to me for help with comfort eating and weight loss. Only by working with a client and getting to the initial emotional event that caused the issue can we deal with it. This is just comedy but the truth is, just by uncovering an event from your past, that you may not connect to, allows you to look at the event and subsequent behaviour as an adult and realize in Sharon’s case that its highly unlikely anyone is going to try and put her in a bin today. So she really does not need to eat so match to make sure it does not happen again. Comedy moment! Comedy explanation of comfort eating but a very good example of how your subconscious joins the dots and creates behaviours that made sense to you as a child but are completely inappropriate and unnecessary today. And often the memory is blurred if the event was a negative one. This sounds very, very simplistic but a client comes to me with a phobia or a habit that is holding them back in some way. Working together to get to the memory of the event that created the presenting issue is amazing to watch. It’s a real light bulb moment for a client and often just understanding why they do what they do is enough to stop the behaviour permanently *. Birds of a Feather – one of my better memories. 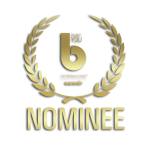 Ali has been nominated for The Best Personal Development Author Award with the winner to be announced at the The Best You Gala ceremony on the 4th March 2017. Ali would like to thank everyone who nominated her. People come to the hut with an identity created by their issues – so I get “I’m, depressed, I’m an alcoholic, I’m over weight, I have no motivation, I have low self-worth etc. URM………. My attitude is you are none of those things. They are not who you are but they are what you’re doing at the moment. I also believe all behaviour serves a purpose, so there must be a purpose behind the way you are behaving. Most of the time that behaviour although in its self-debilitating in some way, I believe, its actually trying to protect you in some way. I truly believe that our behaviours are actually trying to help but that that help often causes more issues. A bit like taking anti-depressants to keep you on an even kill. The intent is good but the outcome is rarely a desired solution state. Behaviours are, in my mind, created by emotion. Emotions are the things that make us unique individuals. With children, I call these emotions superheroes to give them substance and so I can dissociate the issue from the child. In adults I call them ‘parts of us’. By very simply asking the part of you called depressed, or the part that thinks it’s got no confidence or the part that want to eat cake “what its problem is?” The key being what IT’S problem is not what your problem is. It never seizes to amaze me or my client what jumps into their minds! I have low self-worth – well how can that be helping you? I can’t stop eating cakes – how is that helping you? I am depressed – how is that helping you? Often the client can’t answer and just says it’s not! I have no self-worth – well if I keep myself thinking that I won’t try so cant fail like last time when…. I can’t stop eating cakes – well if I keep eating cakes I feel loved close mum used to give me sweets and cakes when I was sad so……….. I am depressed – well if I stay depressed I won’t expect and won’t be disappointed again like last time when…. Generalisations but you get my drift. All behaviour serves a purpose and that purpose is trying to protect you. Well let’s start with what is hypnosis? My job as a” hypnotherapist” is to break you out of that trance state. Set you free from it. But in order to do that we have to understand why you created the trance state in the first place. I believe all behaviour serves a purpose. Consider a fear of dogs, when you see a dog you get anxious – that is your body protecting you. That’s your amazing subconscious remembering an incident that created your phobia and doing its best to stop you being in any danger going forward, so it heightens your awareness of dogs and makes you anxious, creating a phobia. So all though the phobia can be deliberating it’s actually designed to try and protect you. So not only does all behaviour serve a purpose, it’s trying to serve a positive one! To free you from that protective behaviour we have to understand where it came from and if it’s still a need in you to be so alert. I do that by helping you revisit the initial event. Cliché as it may sound it’s often something from your child hood because that when we are learning how to stay safe in our world. More often than not, the first event that created your habit or fear or phobia was created in a much younger less capable, less aware you than you are today. A lady in her 40’s came to me as she has had a phobia of dogs all her life and wants to marry the love of her life but guess what? Yep he comes with two dogs! Well, we spent some time going back to her initial event that created her fear. Her memory was of being little and being mauled by a huge dog! Scary – no wander she has a phobia! Through NLP language techniques we were able to find the true event in her memory. I say true because every time we bring up a memory we change it without knowing it. You see you and but you cannot think like you did as a child because you know more, you are more worldly wise, you are bigger, stronger. So every time you remember something you will be adding your current belief systems to that event. When we cut through that and actually got this lovely lady to travel back down her life line to the event and watch as if watching a movie, what we say was a young girl in the park and an overzealous puppy bounding up to lick her but because she was small it toppled her over and she hurt her arm as she fell. As an adult watching this she realised that the dog was not trying to maul her, in fact it did not really hurt her at all – it was just because she was so little. The lovely lady realised instantly that that could not happen again – a puppy could not knock her over, the dog was only playing…. She is still mindful of big dogs but I am happy to report that she has let go of her phobia of all dogs and wedding bells are ringing again. All behaviour serves a purpose and usually a protective one, but the key is that that behaviour was created in a time and place and circumstance that doesn’t exist now and cannot exist now. An evening with Alison Knowles, author of the Ollie and his Super Powers series of books. Ollie and his Super Powers are going on the road with dates being set for an evening introduction to speaking ‘Ollie’. The first event is being held in St Ives, at the Free Church on the 7th September, 7-9pm. Tickets are only £5 and are available on the door or you can get them from Caroline on Caroline@subconquest.co.uk. You will learn why Ollie came about and get an understanding of how to use the Ollie language every day. Its set to be an interesting evening with lots of laughs and some really useful tips. You will also get to meet a few of our Coaches that have been trained in how to use the Ollie techniques. The toys and books will be available to buy at discounted rates. Testimonial from a mum that really makes me want to do what I do. When you get feedback that you have helped someone to be the best version of themselves it really brings it home that what you are doing is making a difference. It might only be little steps initially but the journey has began Or it might be big leaps and bounds with it being a ride on a jet plane. It doesn’t matter which journey it is and it doesn’t matter how much time it takes, all that matters is that we have started that engine and we are off….. I looked for and found Ali because the medical and school system were letting my 8 year old child down. The Child Mental Health Service wouldn’t see him because he didn’t have specific behavioural problems and the schools inclusion worker was very nice but under the pump and 20mins a week wasn’t really effective. As parents we had tried everything we could think of. He was being bullied, he struggled with playground politics, he wasn’t coping with the mean words being thrown at him, he spent a lot of the school day crying and/or getting frustrated, which made the bullying worse, he was getting socially isolated, he was starting to refuse to go to school, his teacher was starting to lose patience and I was feeling like it was all spiralling. I felt like this needed to be resolved now and not wait “until he matures” or “until the bullies get bored”. From the first day we met Ali my son took to her and the way she spoke and communicated with him. She was open with him and he understood what she did and engaged with her. After one session he was on a high. So happy! Like something had been released. Someone had finally told him HOW to cope with all these feelings he was having. He took his Ollie figure in his pocket to school so when the bad words came he could squeeze the figure and the armour would come up and protect his “heart” and over the next few days he started to work it out. One day saying “there were a few holes in my armour today mum cos some bad words got through but I will make it stronger tomorrow”. And he has built and built up his resilience. He said to me yesterday that a child had been saying mean things and that he had only needed to squeeze Ollie for 5 seconds and he felt ok and didn’t cry and the boy left him alone. He was elated. He hasn’t said he doesn’t want to go to school for ages and seems more confident and happier and the school have noticed a change too. He said he doesn’t want/need to be in social inclusion anymore cos he has Ali now. He doesn’t come out of school in tears looking like the weight of the world is on his shoulders. I am relieved we have found a person and a technique that is so simple but actually genius and it works. It just works! 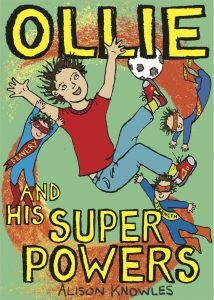 I would recommend anyone spend an hour with Ali and Ollie’s superpowers and guarantee they will come out feeling more resilient, supported and special because they now have superpowers too! If you want to learn more about Ollie and his Super Powers and the work I do specifically with children please go to https://www.ollieandhissuperpowers.com/ . Alternatively give me a call. We create our own realities! Ever noticed when you’re feeling a bit low, maybe at the onset of a cold and someone says, “you look rough.” You suddenly think, “do I”? “It must be man flu.” And you create that reality and it probably progresses to man flu (not to be taken as lightly man flu is real). Or, how when you’re out with friends, having a great time and someone gets a phone call with bad news. All of you suddenly feel instantly sad, the room seems less bright, the music less enjoyable? We can change our realities in an instant just with the power of an emotion. Emotions are by far the most powerful thing on our planet. If someone could invent an emotional time bomb all other weapons would be obsolete. In an instant we can change how we feel or think about something and that literally colours our world. But here’s the thing. So many people come to me with a belief created by an emotion, a belief that is holding them back. For example ‘I am not good enough’, ‘I am not attractive’. This belief was created in seconds. So why do people struggle with the concept that what can be created in seconds by an emotion can’t be corrected in seconds by a more positive one. Ever heard the saying be careful what you wish for? It’s the same thing. Be careful what you allow yourself to think. No one can make you think, feel or colour your world unless you choose to let them.